Welcome! If you are searching for someone to help you achieve sustainable diet and lifestyle changes that will result in optimal well being for either you or your child you have come to the right place! My expertise is in helping people see food as their ally in creating health and vitality in their lives. Whether you are seeking help for a physical problem, mood related issue or eating disorder, I provide a holistic, highly individualized and comprehensive approach to address nutritional deficits and imbalances and can help coach you back to optimal health. 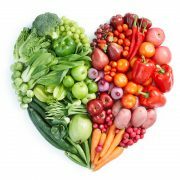 I have a wealth of professional experience in addressing the many barriers to change that we often encounter when attempting to address food and body related issues and can help you uncover your ability to sustainably redirect your behavior in the service of physical and emotional well being. An individual or a parent of a child with a suspected eating disorder? An individual with chronic physiological and/or psychological health issues who is interested in looking at how food, lifestyle and sometimes dietary/botonical supplementation may be able assist you on your path to physical and psychological well-being? An individual with weight concerns who is tired of diet promises that work only in the short term only to be followed up by the familiar regaining of lost weight? An individual struggling with fears and confusion about what really is ok to eat? An individual with gut related issues that leave you feeling bloated, uncomfortable and confused about what you can and cannot tolerate in your diet? Become free of food fear and confusion and instead become confident in the food and lifestyle choices that are right for your unique body. Become confident in your ability to restore health and vitality in yourself or your child who is struggling with a budding or serious eating disorder. Find solutions to reduce stress, emotional eating, and symptoms of gut related disorders. Recognize that food really is the best medicine but only if we apply evidence-based approaches to solve our food related issues. I will evaluate past and present medical and diet history along with stress, movement, sleep, supplements, environment, and related physiological and psychological health concerns. My goal is to partner with you and use my 30 years of clinical experience combined with with my advanced training in functional and integrative nutrition to assist you in finding optimal health in body, mind and spirit. Julie Hayes-Nadler is an exceptional clinician and a pleasure to collaborate with. She coaches clients on the importance of nutritional changes and/or supplements to help with anxiety, depression as well as a number of physical abnormalities. She is caring, responsible, and is our “go-to” person when standard psychotherapeutic approaches aren’t sufficient, particularly when there seem to be underlying biochemical issues at play. I am impressed with how she so adeptly stays abreast of the latest research related to functional medicine. I’ve had very positive feedback from clients as to her skills and sensitivity, and recommend her highly. Without reservation, I recommend Julie Hayes Nadler, RD. She is an excellent dietitian with a diverse breadth of professional experience. Her commitment to seeking the most evidence-based protocols has enabled her to help countless patients create a healthy, sustainable relationship with food and body. Julie’s approach is honest and compassionate. She works holistically and understands the complexity of behavior change. She is undoubtedly one of my favorite professionals to collaborate with! I am so thankful for Julie’s guidance, knowledge, and support. She was absolutely the right person I needed to help conquer the eating disorder that diminished my quality of life for so many years. She taught me the practice of mindfulness and has since helped me to cultivate a holistic approach to eating which allowed me to embrace the wholeness of life. Eating is no longer a source of fear and worry but of contentment and joy. Julie also helped me to see my body differently, a practice all of its own. Lets make the journey together! Functional medicine is a systems-oriented approach to addressing the underlying causes of disease. It addresses the whole person and evaluates the interactions between genetic, environmental and lifestyle factors that contribute to health and disease. Functional medicine is science based, and uses a variety of tests and history taking to discover the source of dysfunction. Evaluating gene sequences, diet and lifestyle, a functional medicine practitioner is able to recommend food and supplementation routines that address the true cause of the patient’s illness.